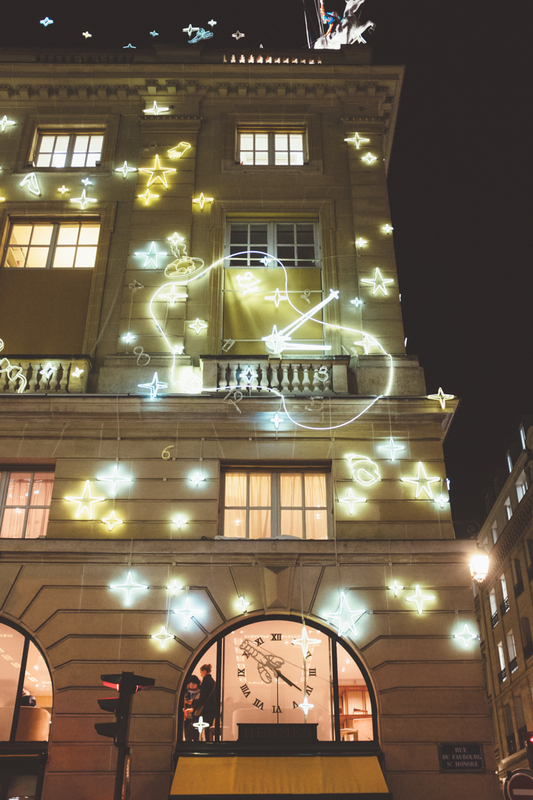 Paris is magical year-round but The City of Lights shines even brighter in December. The cold weather might deter many visitors, but keep reading because you may find yourself wanting to book your next trip to Paris! If you are wondering what to pack for your winter vacation in Paris, don’t worry, I got you. Check out my packing guide here. I also explain how to pack your winter clothes in a carry-on luggage! You will no longer need to wait until the golden hour to shoot Paris’ most romantic sceneries. The entire day feels like the golden hour. Although daylight ends around 5 pm, you will find plenty of Christmas’ décors to keep you busy after sunset. This is the season where less is more! Paris is one of the most visited cities in the world but visit during the first two weeks of December and you will find smaller crowd in the most touristy areas. Less time queuing and more time enjoying! One of the biggest treats of visiting Paris in December is strolling down the glowing Champs Elysees and watching the beautifully adorned displays that grace the streets. Make sure you work up an appetite before heading to the Christmas market! There are countless of stands selling tasty food that will be just too impossible to resist. 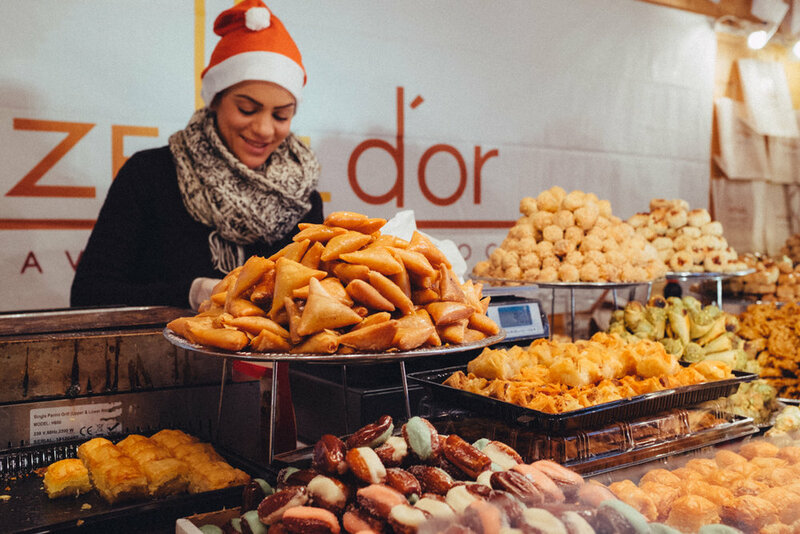 Here is a list of the Christmas markets in Paris. If you have never visited France before during the holidays, chances are you are missing out big time. So head to Paris and indulge in this delectable cake: Galette des Rois aka King cake. This deliciousness is a flaky, yet not-overly-sweet cake. It's only available during the holiday season to celebrate the festival of Epiphany. 7. EVERY DAY IS CHEAT-DAY! 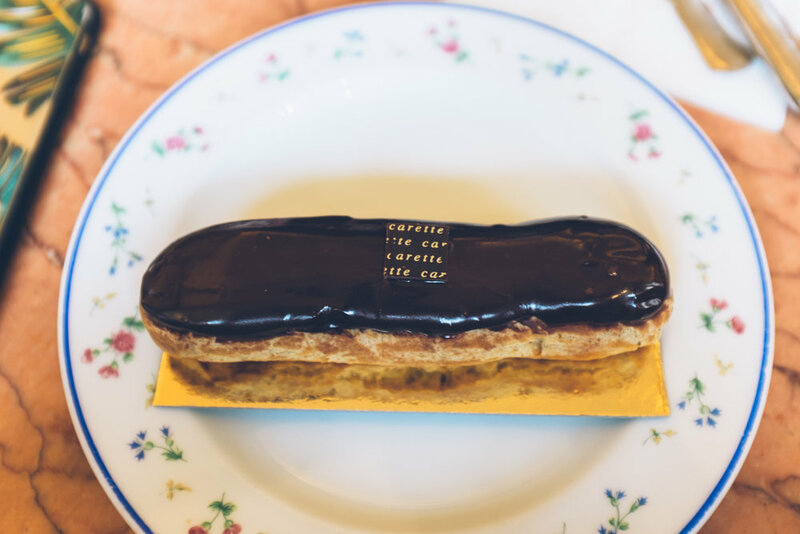 What better time than wintertime to enjoy an extra éclair or two? Head to a boulangerie - French for bakery - and indulge to your heart’s content! warning: it's highly addictive! If you are looking for accommodations or debating where to stay in Paris, check out Ckanani’s post on accommodations. PLANNING TO VISIT PARIS IN DECEMBER? PIN IT!